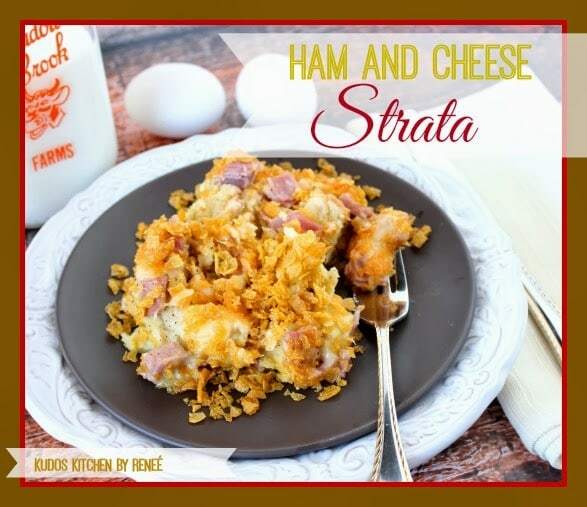 I’ve been making this Christmas Morning Cheesy Ham Strata for probably the last 25 years and have never once blogged about it. I think it’s about time, don’t you? This savory egg dish has been a staple on our Christmas morning brunch table every single year since our kids were little. It has always been a favorite of theirs and Christmas just wouldn’t be Christmas without it. 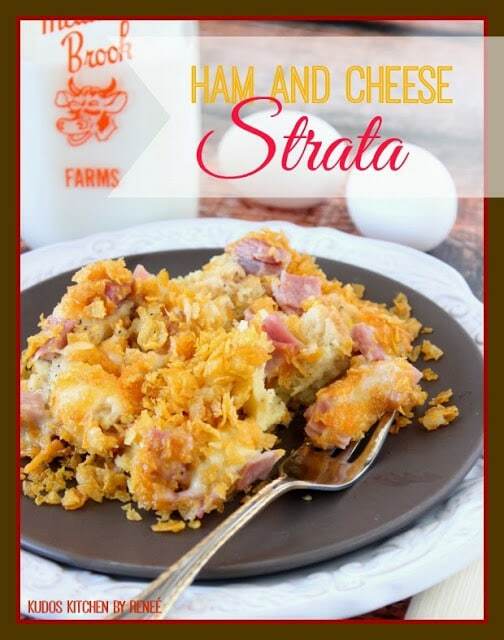 It is with thanks to my friend Re that I came into the possession of this wonderfully flavorful breakfast casserole and although I always make it at Christmastime, it would be a wonderful dish to serve anytime of the year when you’re feeding a crowd for breakfast. The thing I like about this Cheesy Ham Strata (other than it’s delicious taste and crunchy corn flake topping) is that it can be assembled a day or two in advance of the time you’re going to bake it, making it completely stress free! -In a large casserole dish (I make life easier by using a disposable aluminum pan), sprayed with cooking spray, layer the bread evenly in the bottom of the pan. -Top the bread layer evenly with the ham. -In a large bowl, whisk together the eggs, milk, salt, pepper and dry mustard. -Pour the egg mixture evenly over the bread and ham in the casserole dish. -Top with the shredded cheeses. 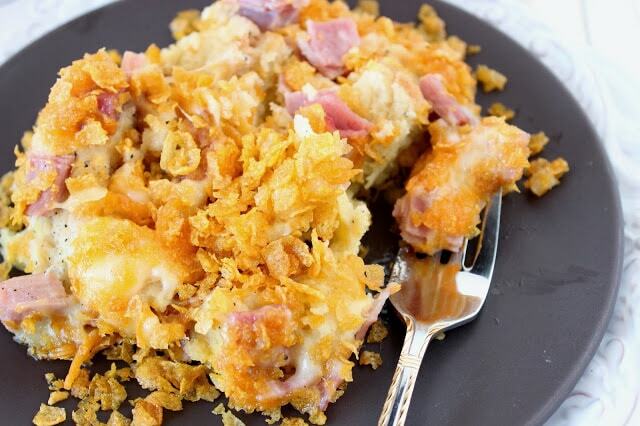 -Top the cheeses with the corn flake crumbs and then drizzle the butter over top of the corn flakes. -Cover the entire dish with parchment paper and then aluminum foil and allow the casserole to sit in the fridge at least overnight of for up to 2 days. 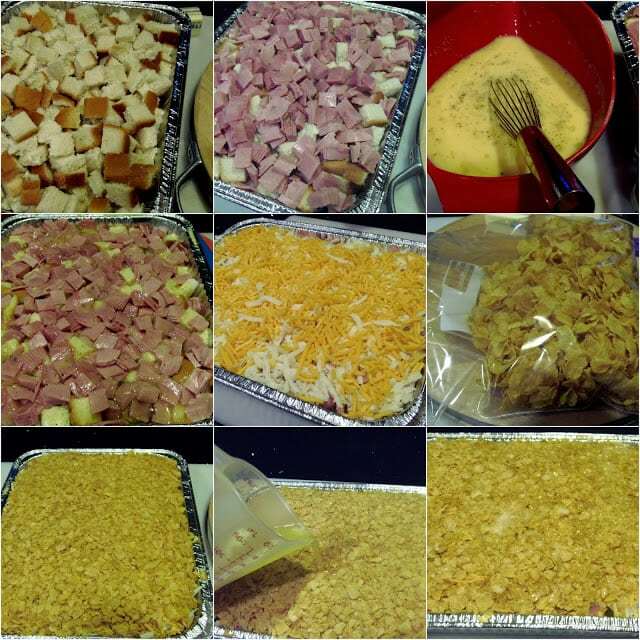 -Allow the casserole to sit on the counter for about an hour before you’re ready to bake it. -Place the covered casserole in the oven and bake for 1 hour. -Uncover and continue baking for about 15-20 minutes. -Allow the casserole to sit for about 10 minutes before serving. -Call your family and friends to the table, it’s time to eat! After smelling this in the oven for the past hour they’re ready to storm the kitchen because they’ve already been drooling all over your floor! 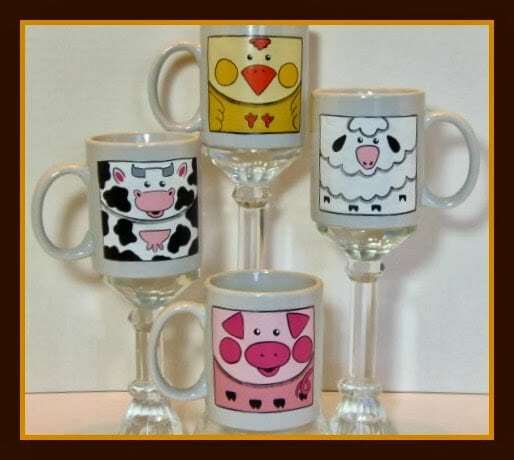 Kudos Kitchen By Reneé ~ Where food and art collide on a regular basis! Thank you, Hanifia! I know you’ll love this recipe! Enjoy! !